We, civil society organizations and social movements from Mesopotamia have come together because our rivers and lakes remain to be in significant danger of being dried up completely to the point of desertification if Turkey and Iran complete the construction of hundreds of the dams, particularly the Ilisu Dam. This is a major component of one of the world’s most ambitious and controversial hydro-engineering projects. The dam is the latest addition to the $32 billion Southeastern Anatolian Project (Turkish acronym GAP). Along with at least 21 other dams, Illsu will lock up the entire Tigris and Euphrates watershed, creating 7.500 megawatts of hydroelectric capacity irrigating a parched farm region of 1.8 Mio. ha. land. 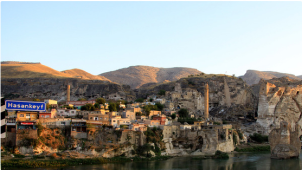 Illsu’s reservoir will also flood the ancient city of Hasankeyf, uproot as many as 70,000 members of Turkey’s struggling Kurdish people, and give Turkish engineers an alarming degree of control over the fate of their downstream neighbors in Iraq, which will incur a ripple effect on neighboring Syria and Iran. Many nations depend on rivers that flow across borders, but none so much as Iraq; which retrieves its resources from mainly two sources; the Tigris River and the Euphrates. When Turkey filled another GAP reservoir in 1992 it shut down the Euphrates for a month, Turkey and Iraq were on the verge of going to war. If Illsu’s construction proceeds, Turkey will shut down the Tigris too. GAP is perhaps one of the starkest demonstrations to date of how engineers can exacerbate longstanding water conflicts. The Tigris and Euphrates Rivers, trans-boundary water resource.